Hello everyone! I just got back from my one week in Japan. And I have a lot of pictures and stories to share. 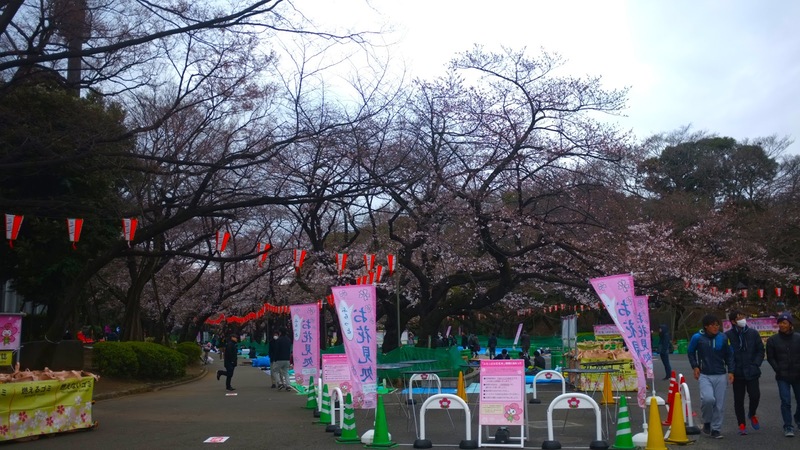 I wanted to see sakura so badly that I decided that I will go see it this year. And yeap, I did it on March & April. 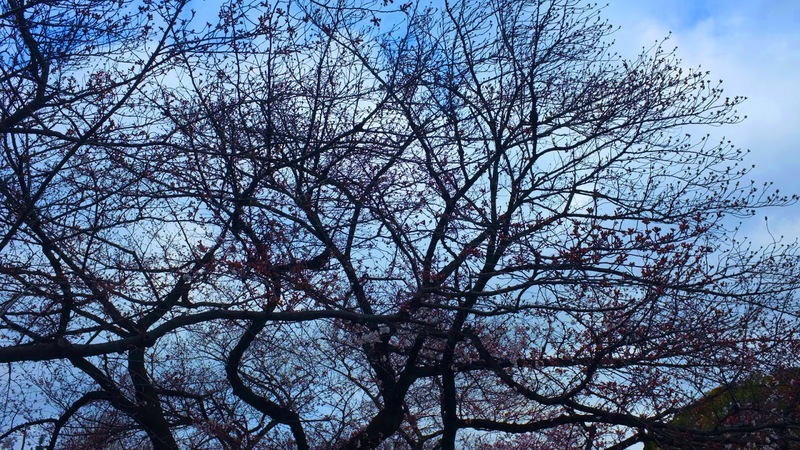 Sadly, when I went there the sakura hasn't fully bloomed yet. Since Jakarta is very hot, I wore a T-shirt with a pinafore while in Tokyo it is spring season which means it will be very windy and cold. I totally recommend you guys to bring an extra thick clothes on your bag to change. As its ultra windy in Tokyo, I changed my T-shirt into UNIQLO HEATTECH SWEATER on the plane around 30 minutes before landing. 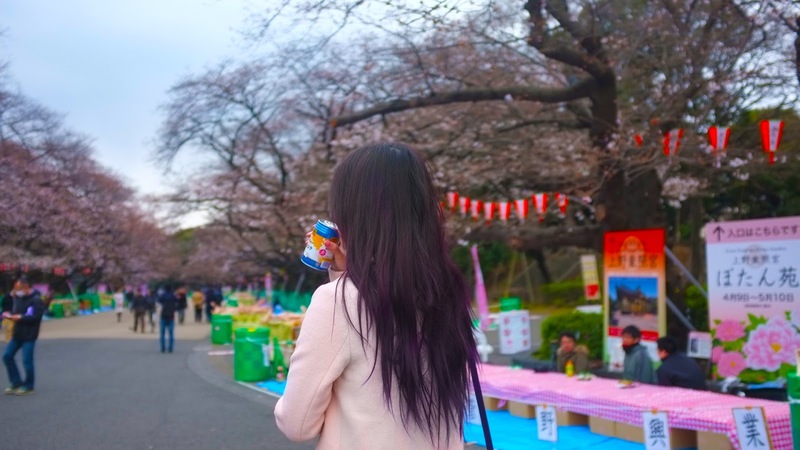 Our first stop is Ueno Park! 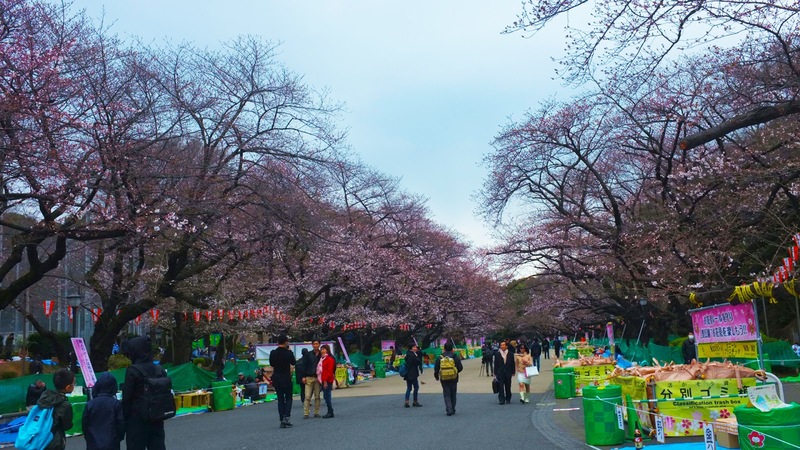 Ueno Park is one of Tokyo's most popular and lively cherry blossom spots with more than 1000 cherry trees lining its central pathway. 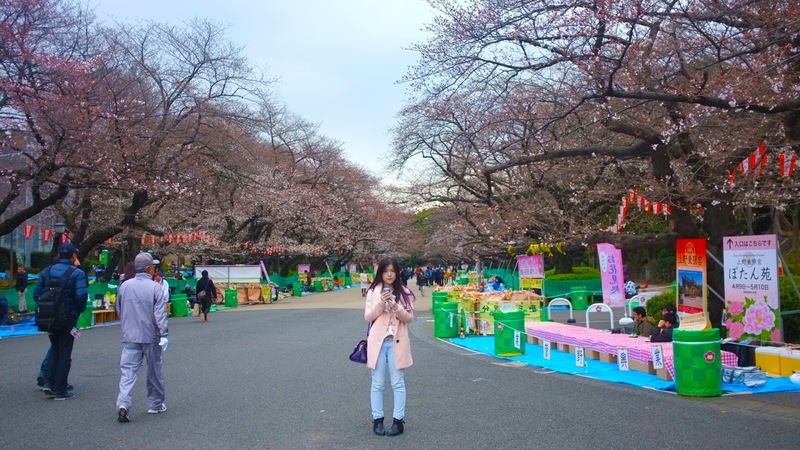 The cherry blossoms are usually in bloom during late March and early April and attract large numbers of hanami (cherry blossom viewing) parties. 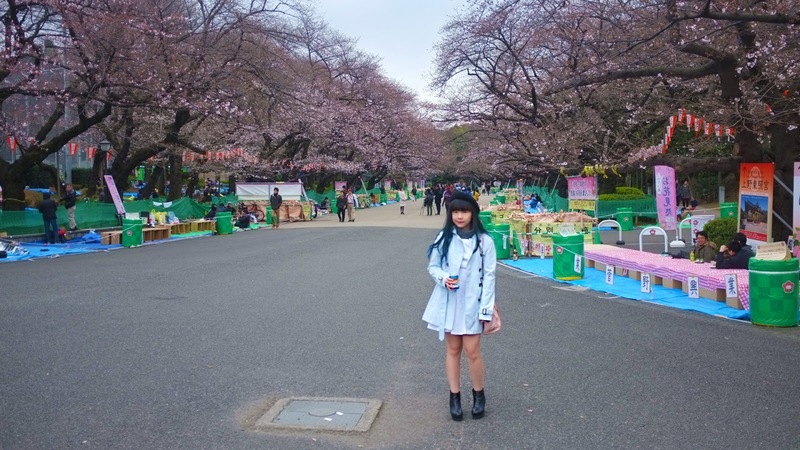 It was damn cold and windy at Ueno Park. And as I have said I was only wearing a heattech sweater with a pinafore and a coat. My hands and legs were shaking the entire time, I even thought of just staying inside the bus since it was too cold for me. But since it's the first day and I didn't want to waste my time here in Japan, I decided to continue! I walked slowly as its windy and every time the wind hits you, you'll feel like flying. Nonetheless, the view was remarkable. 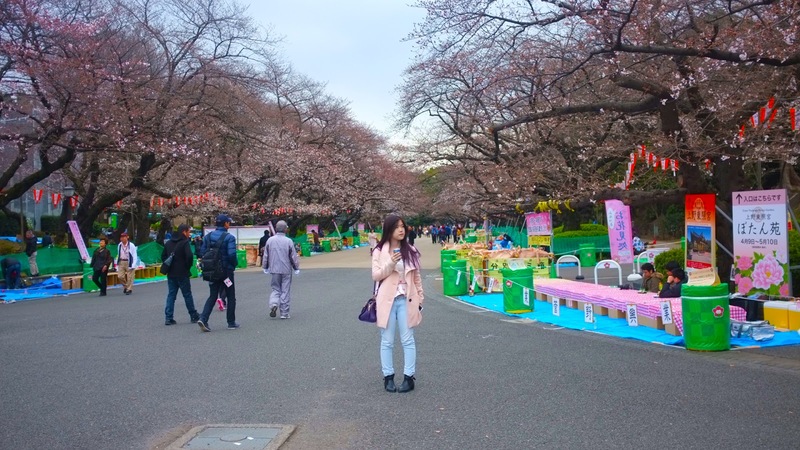 Ueno Park is definitely a must visit place if you're planning to go see sakura next year! 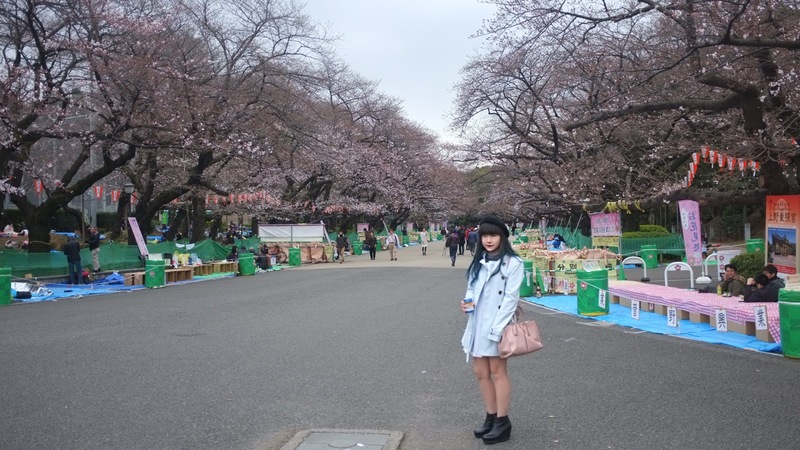 You will walk surrounded by cherry trees, a good spot to take plenty pictures. 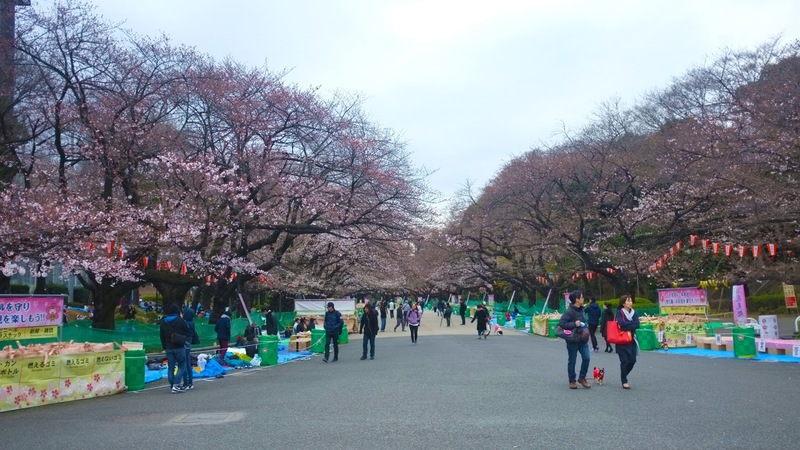 People preparing for hanami festival! 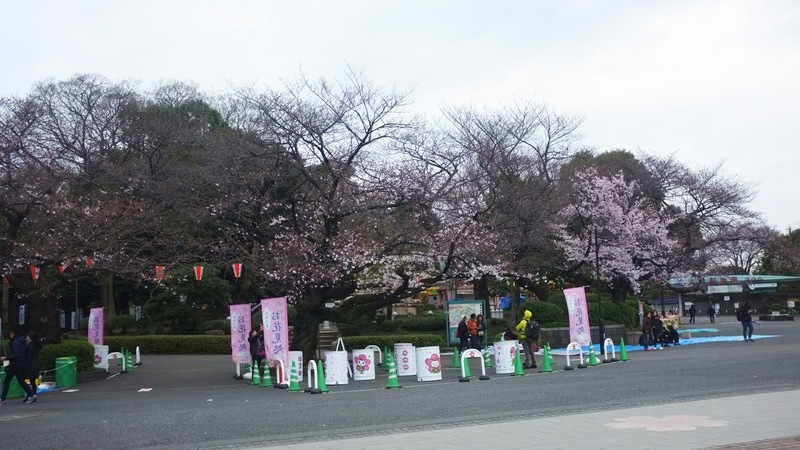 If you want to go to Ueno Park, you can take train to JR UENO STATION as it is just right beside the station.